HomeBlog RetirementIs It Possible To Depend On Social Security Alone For Your Retirement Money? Is It Possible To Depend On Social Security Alone For Your Retirement Money? We all think about our retirement money every now and then. Some of us act on it every time the thought crosses our minds. Some tend to ignore it – specifically those who are in their 20s. But when you are in your 50s or 60s, you need to seriously think about what your retirement will be like. You are running out of time to save up for this very important time in your life. What makes retirement crucial is the fact that your income is already very limited and yet your financial needs may be greater. Think about it. You no longer go to work so your financial resources are limited to your savings, investments, and Social Security. Yet your body demands a bigger expense – specifically when it comes to your health. No matter how strict you are with living a healthy lifestyle, old age will come with a lot of health issues. We all know how expensive it is to get medical treatment in this country. If you do not prepare for this, you may find yourself outliving your retirement money. When that happens, what can you use to finance your needs – especially the medical treatments that you will need? Some people do not prioritize their retirement savings because of one guaranteed source – their Social Security Income. If you are employed, this is one contribution that you are required to meet. If all else fail, you know that you have this to fall back on during retirement. But then again, do you think that it is enough for you to live on during retirement? 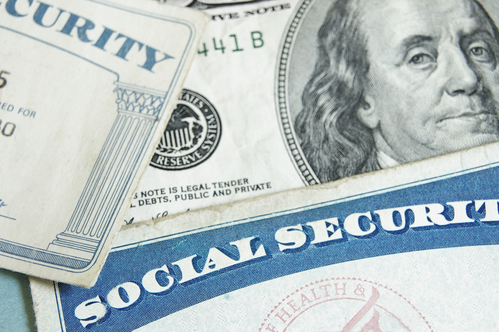 According to a press release published on SSA.gov, the monthly benefits from Social Security and Supplemental Security Income (SSI) will not increase in 2016. Usually, the benefits received by almost 65 million people are adjusted based on the inflation the previous year. Since the consumer prices were down, there will be no adjustment in the monthly benefits of the recipients. Based on the Social Security Act, the benefits received will increase according to the inflation measured by the Consumer Price Index for Urban Wage Earners and Clerical Workers (CPI-W). Since the consumer prices last year did not increase, there will be no automatic adjustment for the Cost of Living Allowance (COLA). This means the average monthly benefit that retirees will get from Social Security will stay at $1,335. Can you live on less than $1,500 a month? If you were planning to depend on your Social Security benefits for your retirement money, you need to practice living on less than $1,500 a month. The question is, can you? What kind of lifestyle do you think you will have with only $1,500 as your budget? Remember that the average SSI of $1,335 means half of the beneficiaries receive less than this amount. In fact, some retirees get $650 a month. We are referring to Sandra Houck, an 80-year old retiree interviewed for an article published on PublicOpinionOnline.com. According to the article, among all the retirees, 22% of those married and 47% of unmarried ones rely heavily on their Social Security. It is estimated that they rely on this for 90% or more of their retirement income. If the government decides not to raise the COLA this year, a lot of retirees have to adjust to living with the same amount as last year even if the taxes will be going up in 2016. Any increase in prices will also have to be dealt with the same income as last year. Imagine living on $650 per month. Sounds impossible, right? Actually, it sounds outrageous. If you factor in the expensive health care costs, where do you think they will get the money to pay for that? Being happy on a low income household is not impossible but it will be very hard on retirees. The key to survive on a Social Security benefit alone is to know the other programs that will help you meet your financial needs. Here are some of the programs that you can tap into to supplement your retirement money. Medicare. Most of the time, the biggest expense of retirees is in health related costs. This is something that you will need when you get sick. Most workers paid their Medicare while they were employed so you need to look into your coverage. Make sure you know what you are entitled to so you can inform the hospital in case you get sick. Medicaid. This is great for getting help with medical costs. This is ideal for the elderly, blind and disabled. It is possible for you to combine both Medicare and Medicaid benefits. Extra Help. This is a program that is applicable to seniors who are eligible to receive the Part D coverage in Medicare. This can amount to around $4,000 every year. If you qualify, this can ease the financial burden when you get sick. Supplemental Security Income. This is the public assistance program that is specific to the elderly and disabled. This can add a couple of dollars in your monthly budget – which it can help cover for utility or food expenses. Food Stamps. This is another big help for seniors with minimal retirement money. You can use this to minimize your expenses when it comes to food and groceries. There are other programs that you need to look into, this time, to help lower your expenses. For instance, you can get tax relief. There are eligibility requirements of course, but it pays to find out if you can get these benefits. It will help remove the stress of trying to rely on Social Security alone for your retirement money. Another way that you can live on $1,500 or less each month is to pursue a low-cost lifestyle. There are cities that you can relocate to so you can live comfortably for less. You need to choose the right city so you do not have to live in poverty when you retire. The truth is, you do not have to stress yourself out when you retire. You just have to save more so your retirement money will grow to be a sizable amount. This will keep you from worrying if you will outlive your money or not. According to the statistics found on Fool.com, 45% of American workers do not have retirement savings. 40% of Baby Boomers admitted to the same predicament. These pre-retirees are probably stressed out at the moment because they are nearing retirement and they still do not have savings to live on when they retire. A lot of them are probably depending on their Social Security as their main source of retirement money. While some people may be able to live on their Social Security, albeit with a bit of difficulty, that does not mean you should be resigned to have the same fate. There are a couple of things that you can do to boost your retirement savings. Set a retirement money target. Start by knowing how much you need to save up for. This is very important because it will help make your goals more tangible. It will also help you decide the strategies that you will use to meet your goals. Commit to save a monthly amount. Another tip is to make a commitment to save a specific amount to save. For instance, if you decide to save $250 a month, you need to make sure that you will save that amount no matter what. Automate your savings. To help you commit to your savings, why not automate it? Instead of transferring it manually, setup an auto-debit so you are sure to save your target amount each month. This will help you meet your saving goals each month. Take advantage of compound interest. Investing is the best way to grow your retirement money. It will help maximize the growth of your savings. If you plan to continue investing in retirement, that is possible. That way, you only withdraw what you need and the rest of your money will continue to grow. Put your savings where you cannot spend it. Finally, you want to keep yourself from spending your savings if you do not have to. This is why you need to put your money where you cannot spend it. Place it in an account that will charge you if you withdraw it prematurely. Get rid of your debts. If you know that it will be tough to meet your retirement income target, you do not want to share it with your debt payments. This is why you should restructure your debts to ensure that you can pay it off before you retire. Know the options that you have to do this like debt consolidation or debt settlement. These tips should help you grow your retirement money so you will not worry about your golden years. All it takes is a bit of discipline, self-control, and some smart financial choices.